An Axel Thin Client is not only faster than a PC but also cheaper. 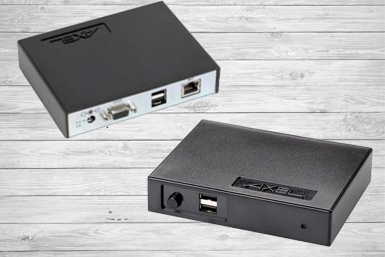 The size of an Axel Thin Client is ideal for mounting behind a screen or it can simply be placed under the foot of a monitor. Axel M80 features a powerful graphics processor that provides full support for text and graphics applications. This model is specially designed to attach behind a TFT screen and has 4 USB interfaces. The M85B features, just like the M80, also a powerful graphics processor that provides full support for text and graphics applications. The M85B has in addition to the 4 USB interfaces also 2 serial, 1 parallel and 2 PS/2 interfaces. The Axel M85 Wifi is equal to the M85B model, however, this Axel features wifi and is therefore flexible. You are no longer dependent on an ethernet cable. 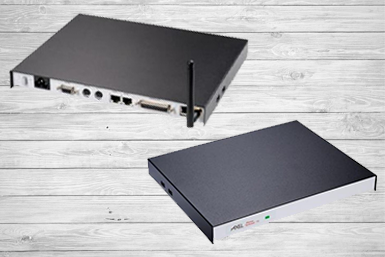 The Axel M90 is recommended for users who has high demands on graphic performance of a thin client and/or dual screen support is a requirement (1920 x 1200 on each screen). The Axel M90 Wifi is equal to the M90 model, however, this Axel features wifi and is therefore flexible. You are no longer dependent on an ethernet cable. 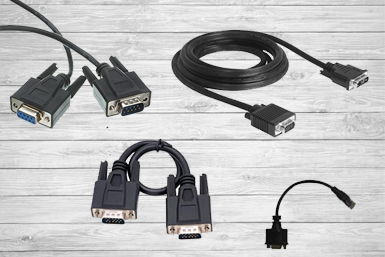 We offer the following accessories for our Axel thin client terminals. Why switch to Axel thin client terminals? A thin client is a very small device like a tiny computer which is provided with “light” components. 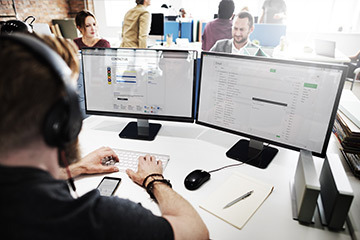 The thin client connects to a server through the network. The desktop of the server is shown via a remote desktop connection. Everyone works on the server and all data will be stored at the server. For companies with flexible workplaces are thin clients ideal because anyone can log on to any terminal. Permanent workplaces became unnecessary. 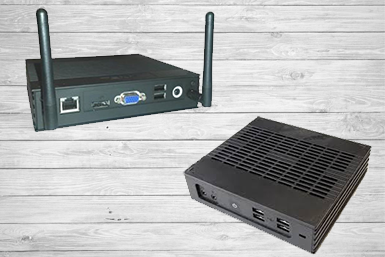 Thin clients are small, save space and doesn’t contain any components that are subject to wear and tear. They therefore offer a much longer life and produce less background noises from fans and hard drives as with the usual PC’s. By using thin clients the speed of the network will increase and the server will be more stable. Thin clients provide high availability for all applications run centrally on a stable server. Furthermore, you will notice an increase in the available bandwidth because only screen content, keyboard commands and mouse clicks are sent between the thin client and the server. Would you like to test a model? We offer you the possibility to test one of our thin clients without obligation and free of charge for 30 days in your business network. After 30 days, you decide either to return the Axel or either to keep it and an invoice follows. During the test period we support you with both advice and technical support. 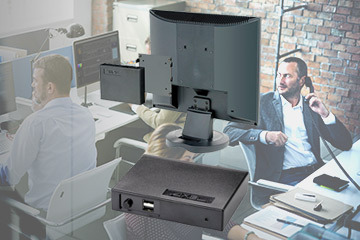 When you have questions about our Axel thin clients please contact our specialists. They will assist you directly and answer your questions. In the absence of an operating system on the thin client there is no risk of infection by a virus or trojan. If you have questions or you need technical support on our products please contact us. We provide the entire handling of service for resellers and end users. 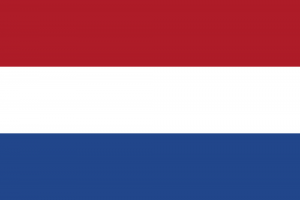 For All IT is the distributor of Axel in the Netherlands and Scandinavia. Whether you are an end user or reseller, you can rely on us. If you are a reseller you will benefit competitive reseller prices. Next to Axel thin clients we also provide a full solution. This total solution of Desktop as a Service consists an online workspace where you have access to all your business applications. No expensive licensing fees, always up-to-date and working in a safe environment. Check out our Desktop as a Service. 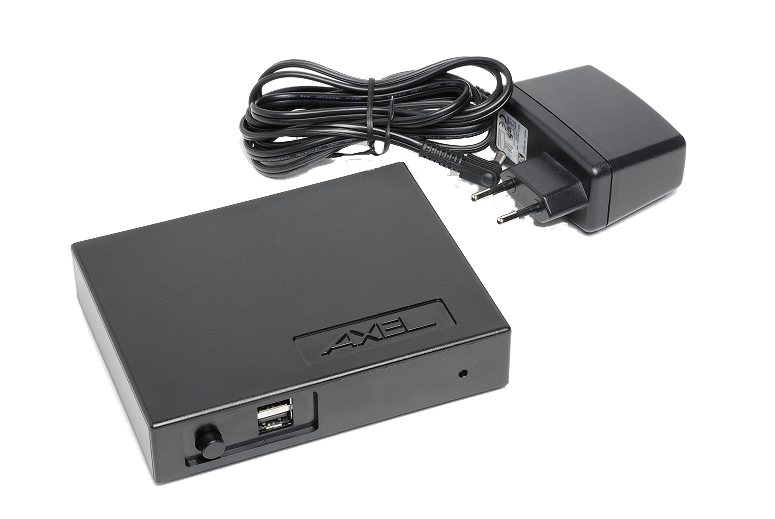 Immediately need an Axel thin client? Our Axel models are available from stock.